The anthology that R-SPEC has been diligently working on for more than a year is finally here! 2034: Writing Rochester's Futures is set 25 years (well, 24 years now) into the future, and takes 18 different looks at what the future of Rochester and the area might look like. Best-selling Nebula and Hugo Award-winning author Nancy Kress leads a tour of things to come, alongside Star Trek writer Sally Caves, two-time John W. Campbell Award finalist Nick DiChario, playwright/philosopher Craig DeLancey, and fourteen other Rochesterian masters of speculative fiction. This is really good fiction, so do yourself a favor and head on over to the R-SPEC Press web site and buy a copy. No, I'm not one of the authors. Much to my regret I was in the throes of my MBA when submissions for this opened up, but I was asked to write the foreword, for which I am truly grateful. It's a terrific collection of writers with stories running from hard science fiction to the truly fantastical and every kind of speculative fiction in between. I'm very excited to say that Under the Graying Sea has been picked up by Science Fiction World, the largest science fiction magazine in the world. It's a Chinese publication with an estimated 1 million readers. 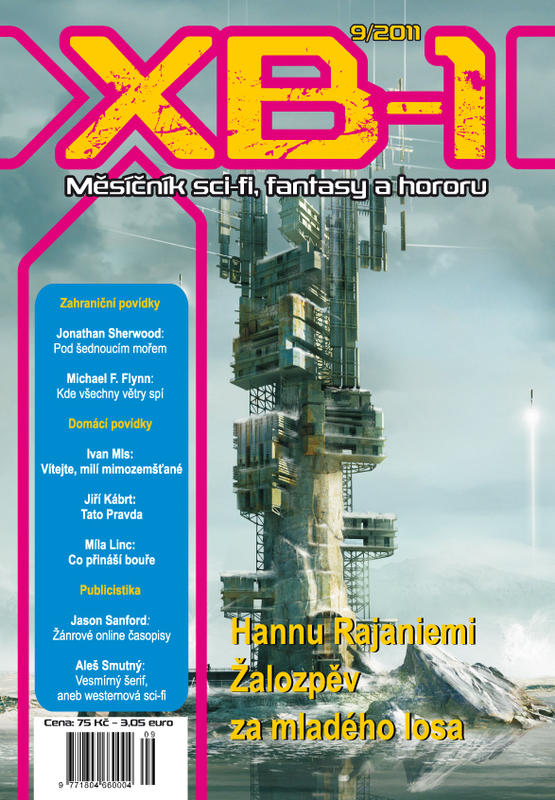 I was asked by the editor to write an introduction about the writing of the story, so that and the full text of Sea will be translated and printed in Volume 7 of SFW's Nebula Series alongside stories by Robert Sawyer, Stephen Baxter, and James Alan Gardner. As I understand it, the book should be printed in January, so as soon as I get my copies, I'll post the cover here. Unfortunately, since I can't read a word of Chinese, I'll have to be satisfied with looking at the pretty pictures.